El Paso developed the first Aquifer Storage & Recover (ASR) facility in Texas in 1985. El Paso Water's Fred Hervey Reclamation Plant injects 10 million gallons per day (MGD) of treated wastewater into aquifers 300 to 835 feet below ground. This system has successfully recharged more than 20 billion gallons of reclaimed wastewater into the Hueco Bolson aquifer. Historically, the utility primarily used deep injection wells to inject water directly into the Hueco Bolson aquifer. 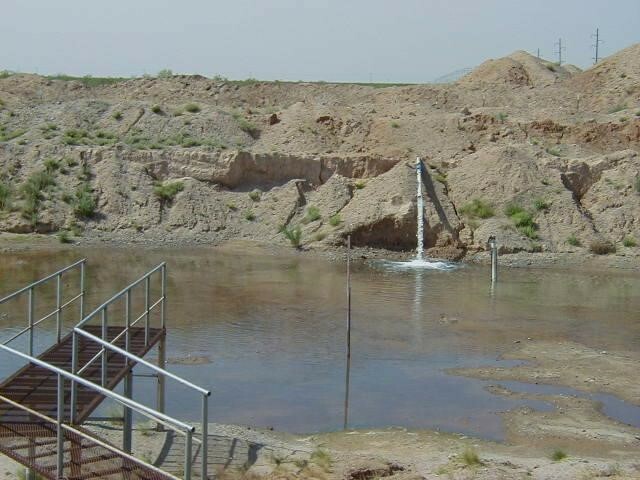 EPWater conducted research with the American Waterworks Research Foundation more than a decade ago that concluded that excavated infiltration ponds were a more economical method for recharging the Hueco in terms of both construction and recurring operations and maintenance costs. Since that time, EPWater has constructed four infiltration ponds and reduced its dependency on injection wells. EPWater has been collaborating with the University of Texas at El Paso’s Engineering Department for years to look at ASR options. Based on some of that research, the utility is preparing a feasibility study to expand use of ASR, using a combination of reclaimed water, reclaimed water conserved at El Paso Electric Co.'s Newman Generating Station and treated river water. During irrigation season, El Paso Water holds water rights that help meet our peak summer water use. When the utility does not need its full allotment of river water – often in the weeks or months leading up to and following the peak periods of water demand – there is an opportunity to use at least a portion of that water to replenish the aquifer to support long-range drought resilience and groundwater sustainability. A feasibility study is the first step in exploring a new water supply project. It often takes years to go from feasibility to design to construction. The feasibility study will explore the use of an arroyo filtration method, which has the potential to provide 10-25 acres of wetland habitat in the Chihuahuan Desert to benefit several listed and endangered species.